Coming from a real estate background myself, a lot of our clients are real estate brokers and investors. Anyone selling property learns very quickly the most important part of your business is to keep the phone ringing and your pipeline full. 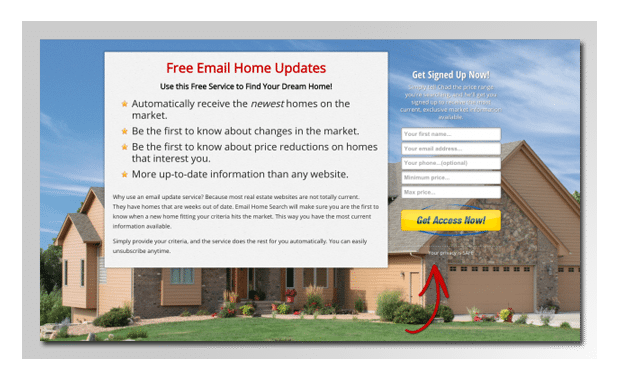 A strong call to action combined with a high conversion lead capture page can easily make this happen for you. If you don’t have an inbox full of people wanting to list and sell homes right now, you need to get one of these pretty much asap. We’ve got you covered.